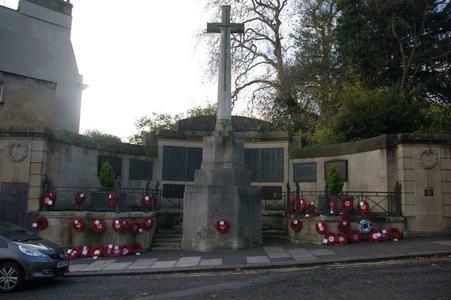 Cross of sacrifice with curved wall behind bearing nine name panels City arms on pediment. 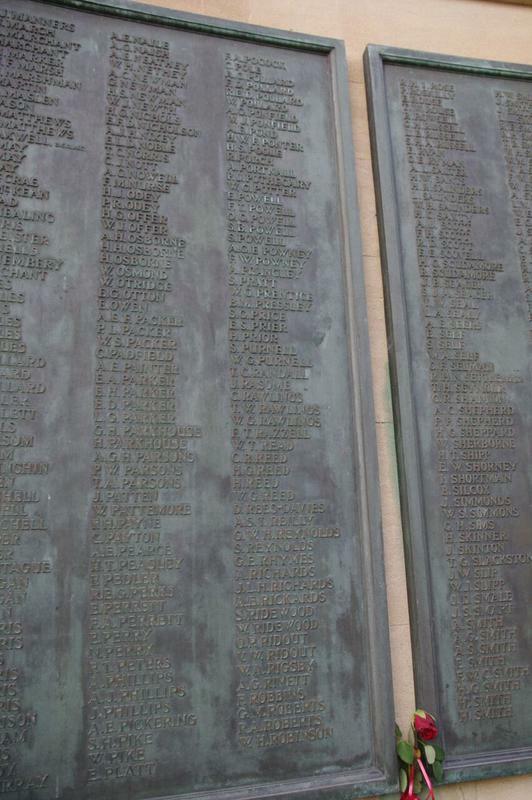 Lions on railing pillars. 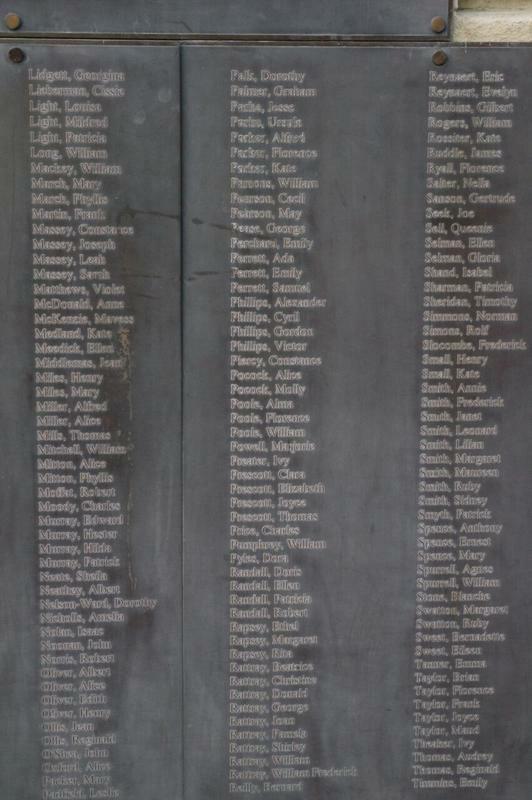 Wreath on pillar at each end of wall. 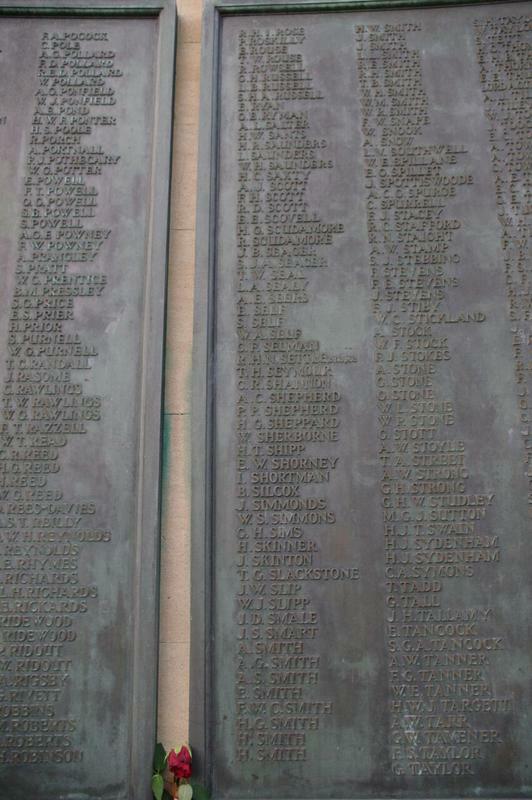 FWW NAME PLATES WERE TRANSFERRED FROM THE ROYAL MINERAL WATER HOSPITAL IN 1927. 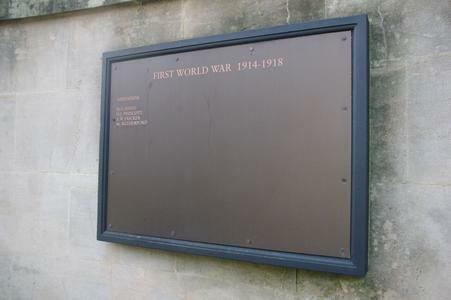 SWW NAME PLATES WERE ADDED IN 1995. 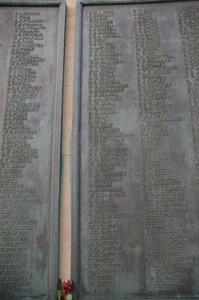 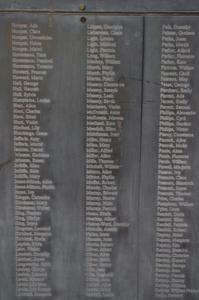 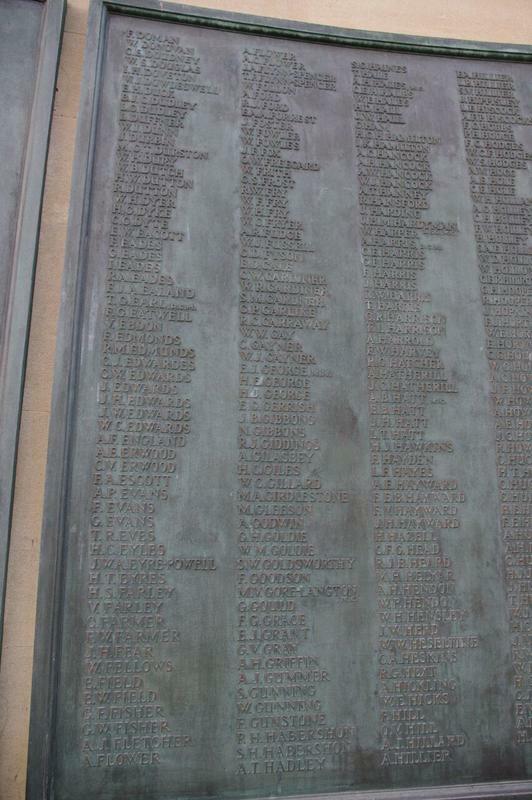 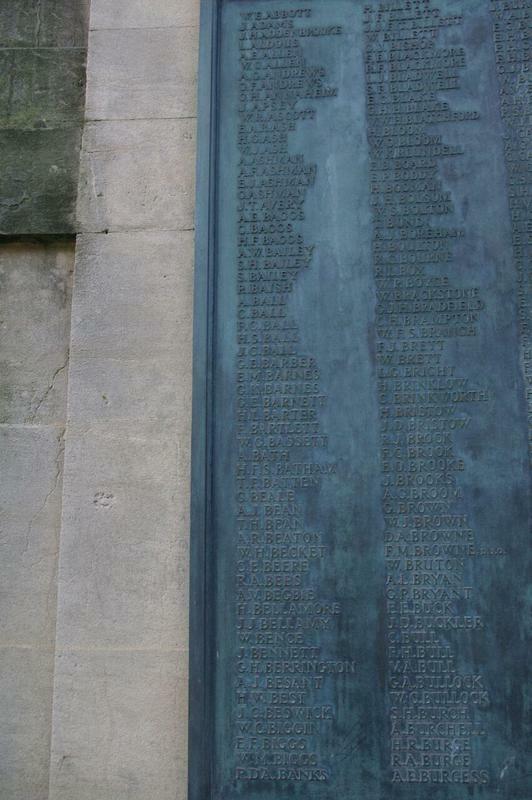 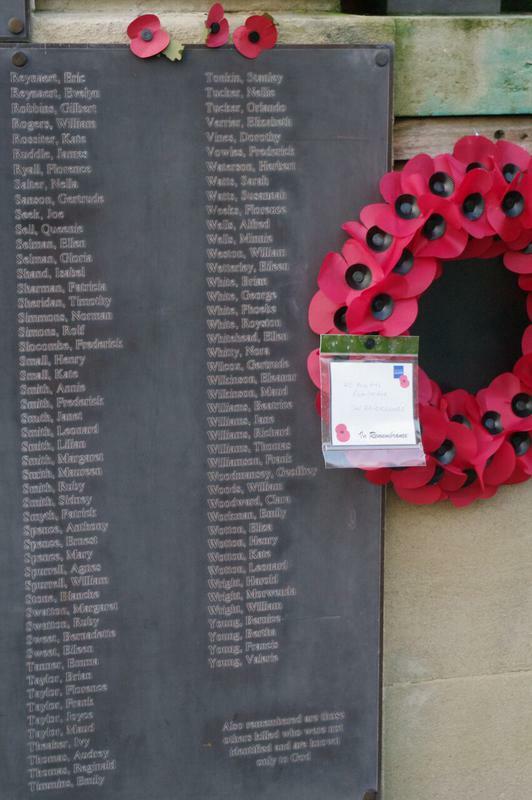 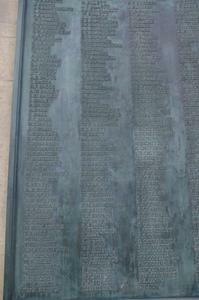 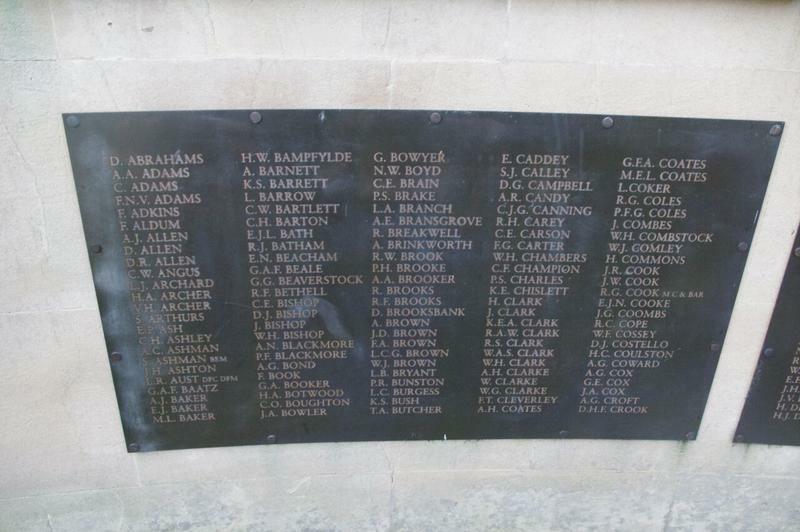 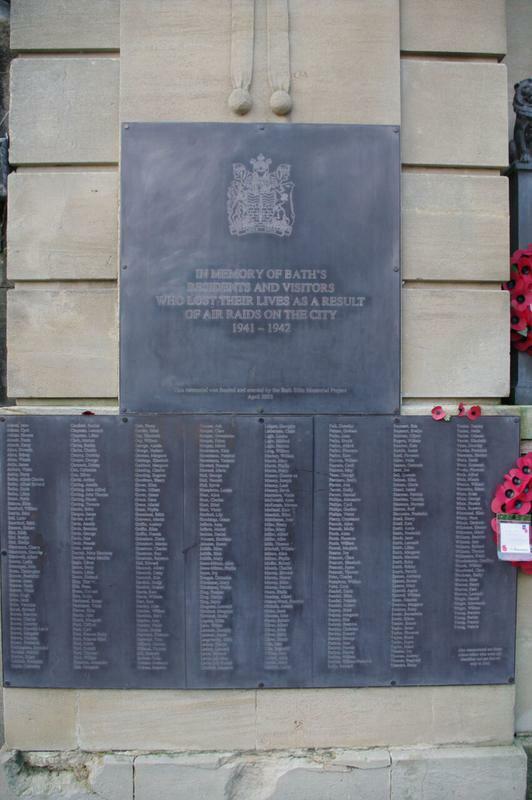 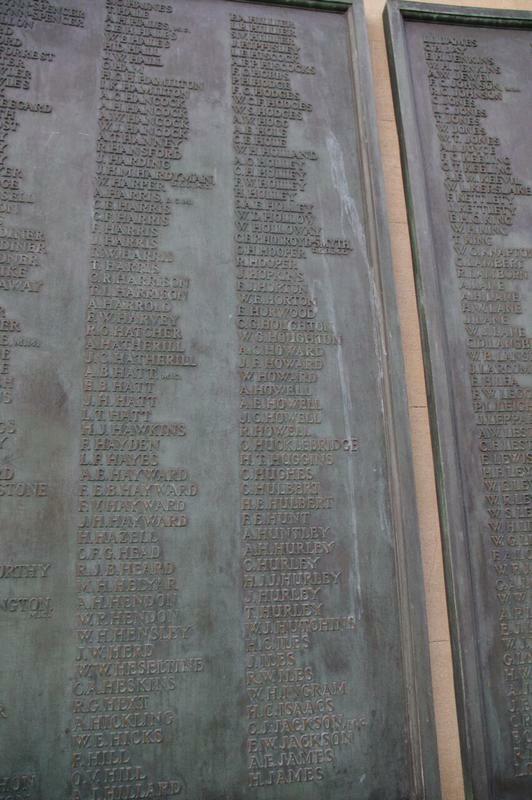 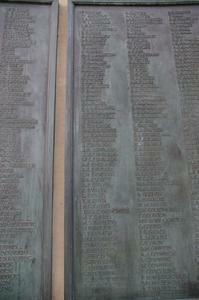 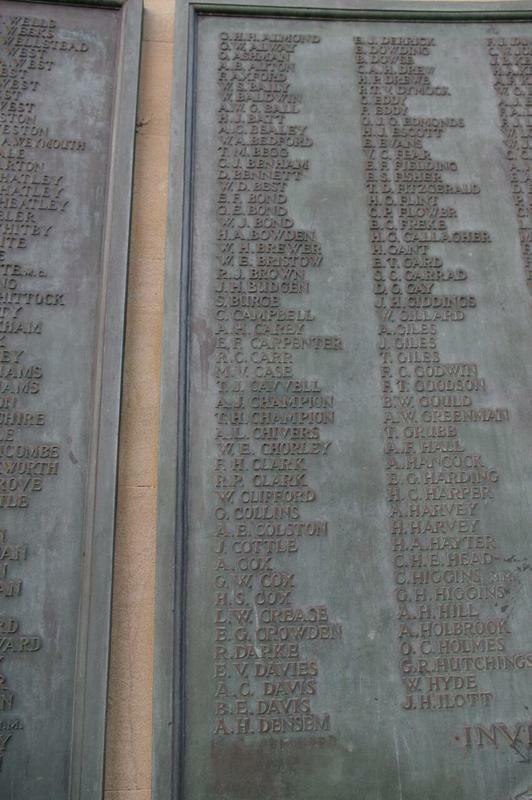 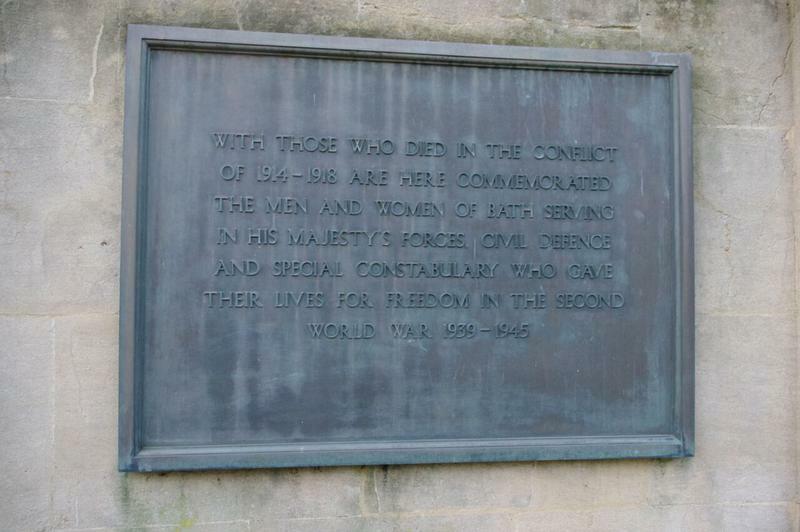 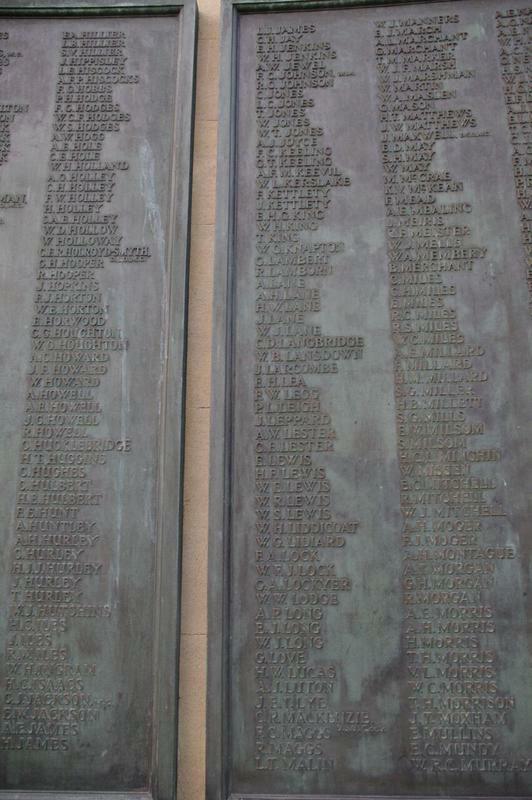 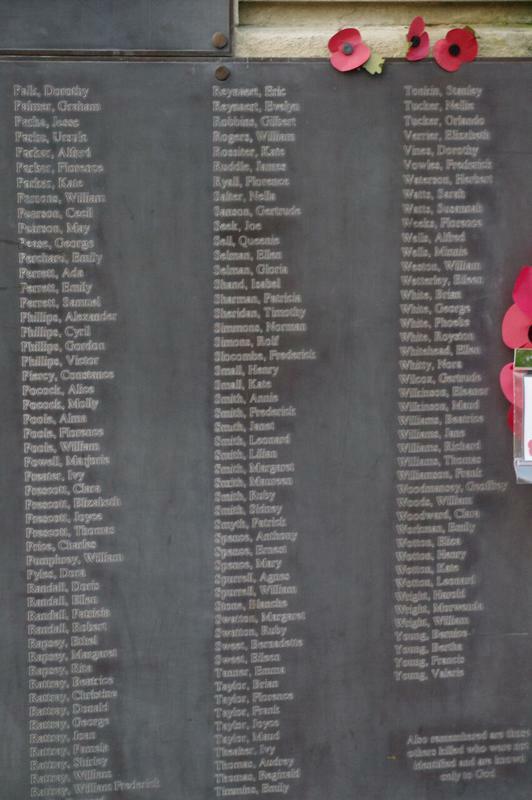 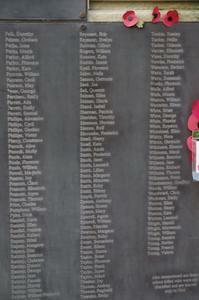 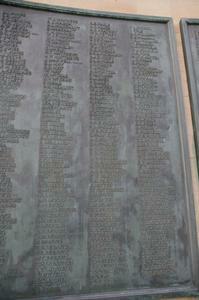 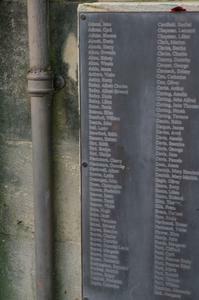 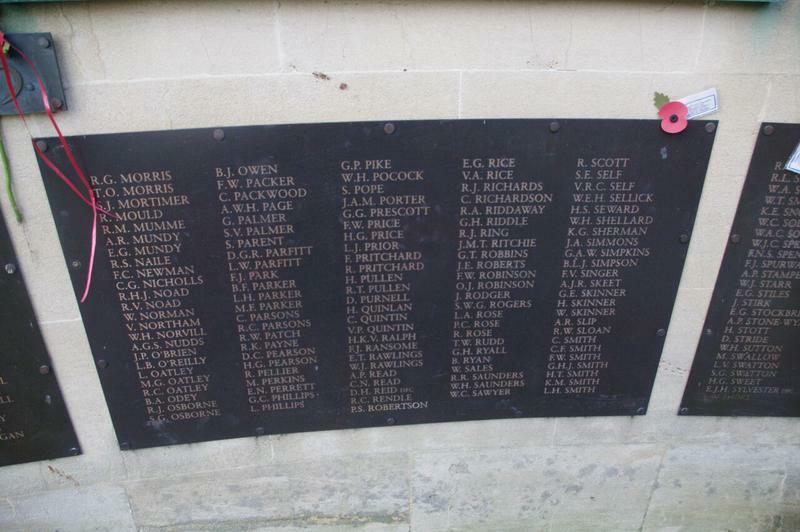 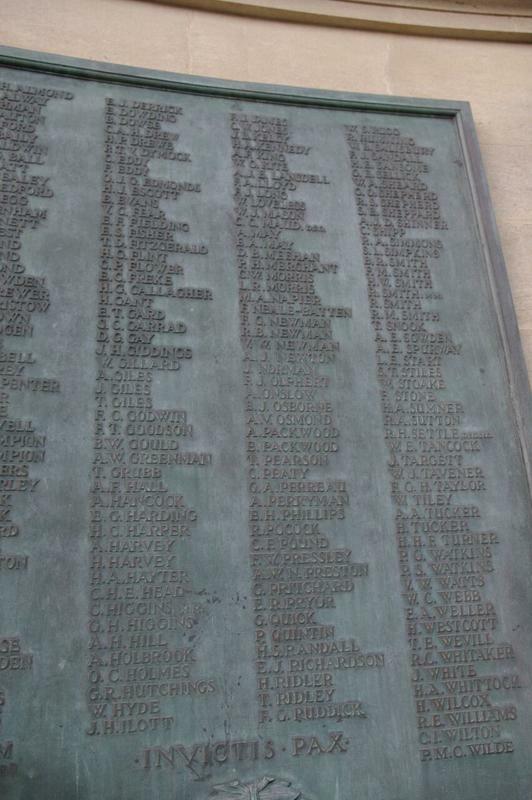 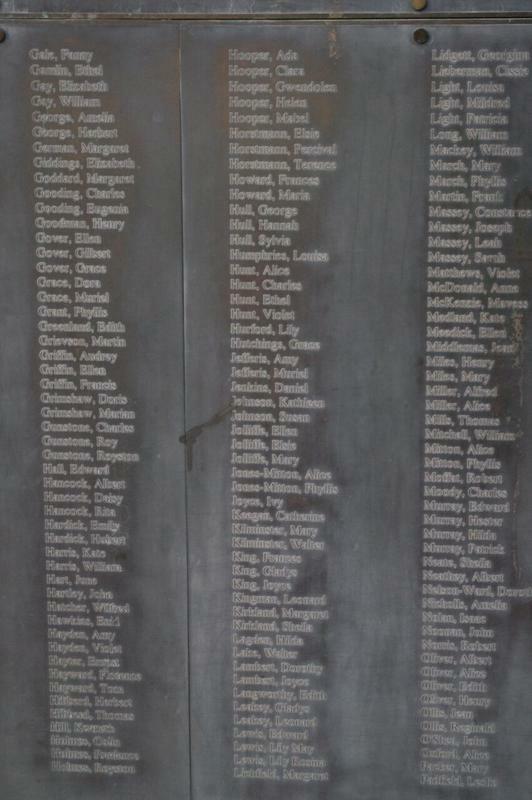 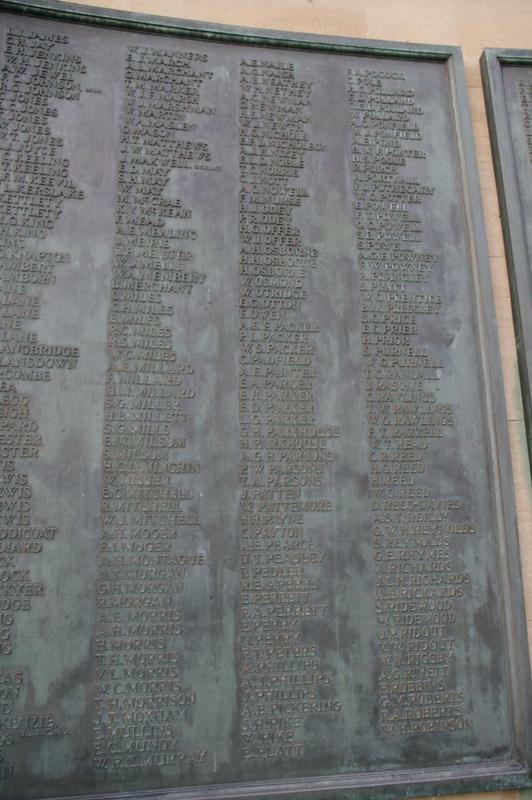 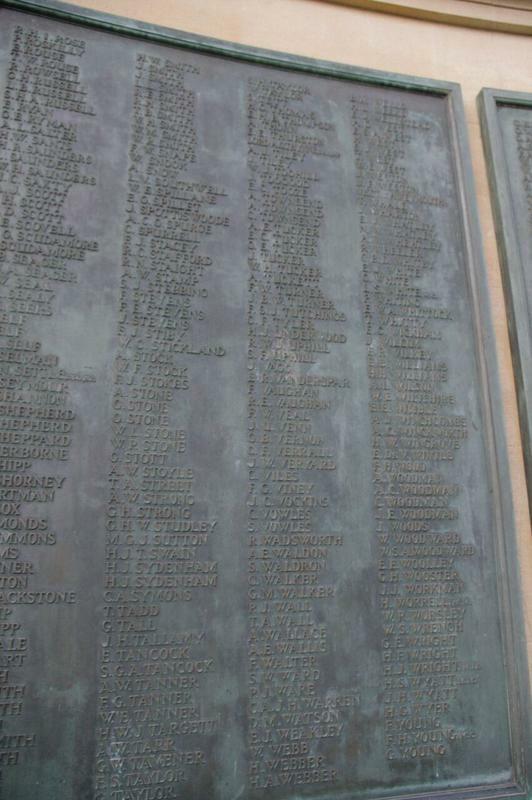 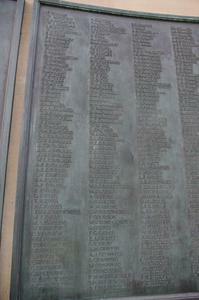 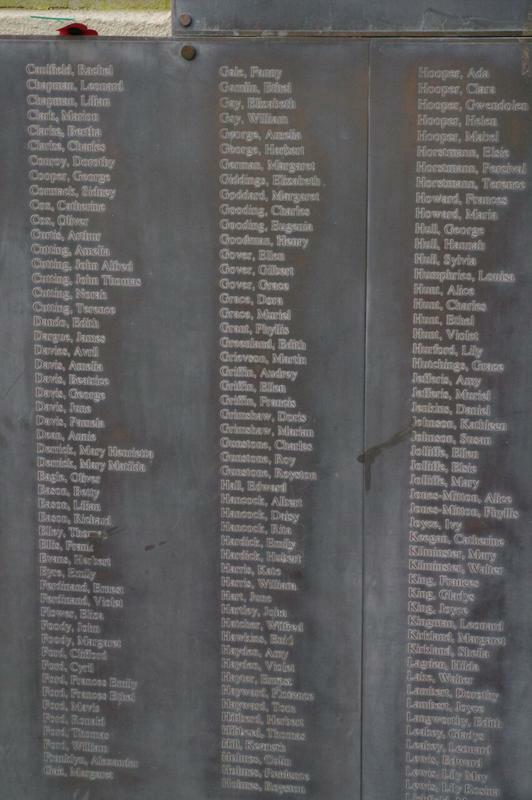 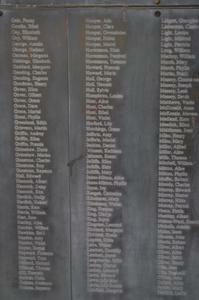 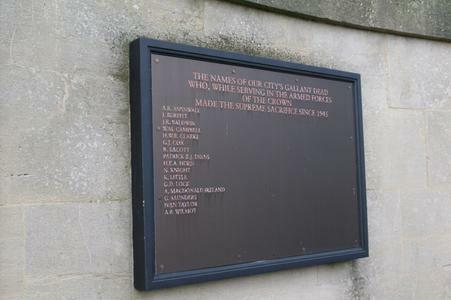 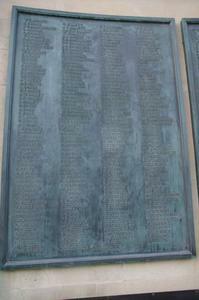 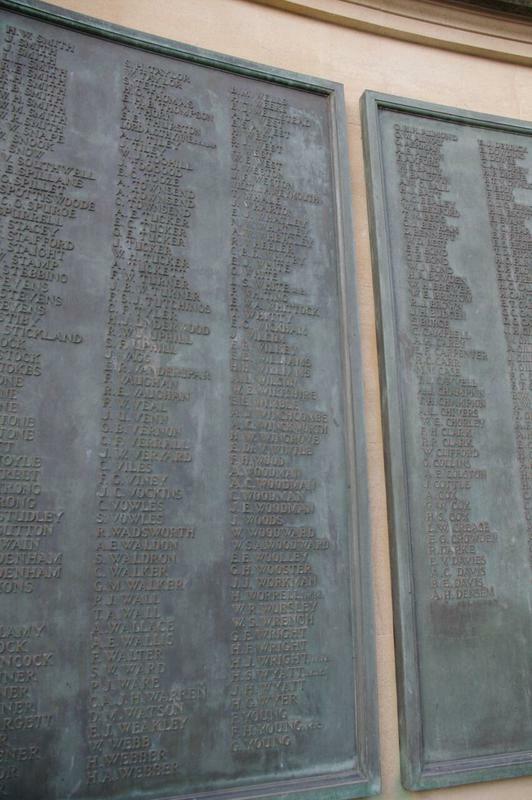 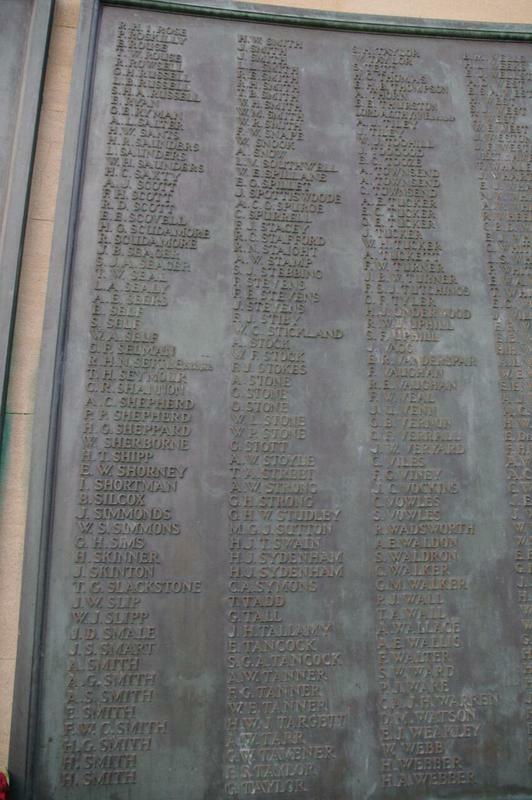 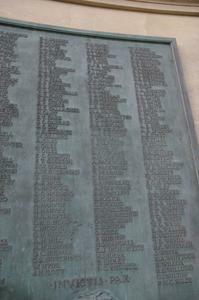 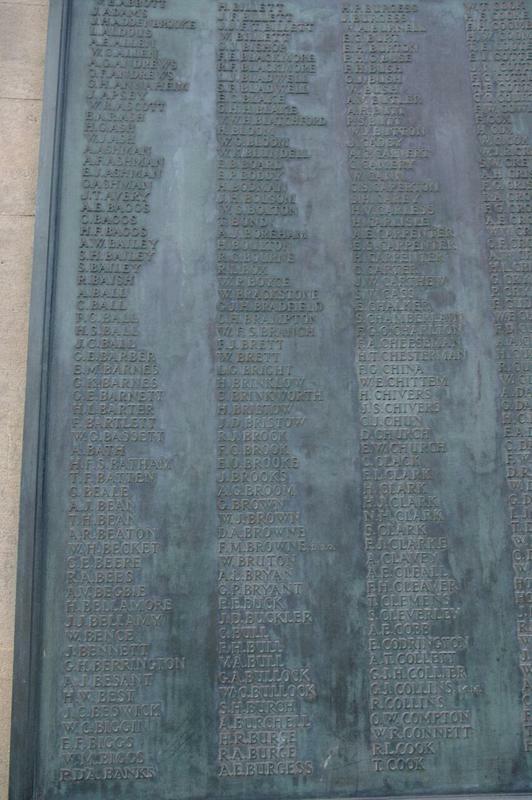 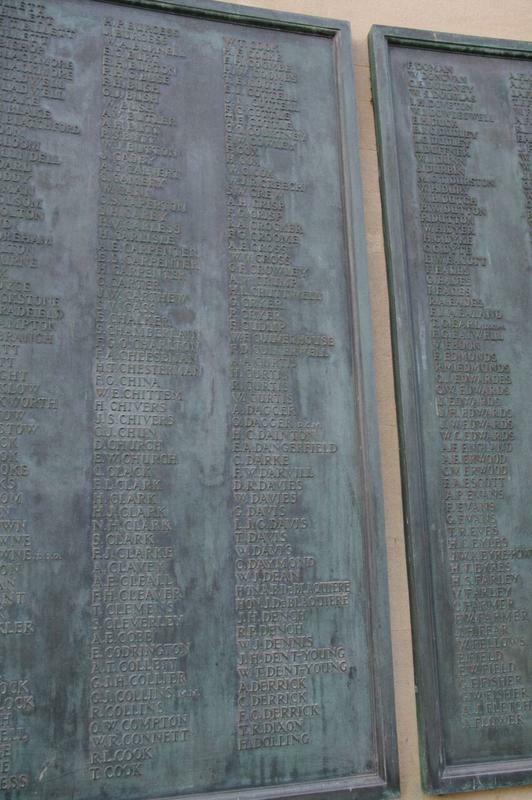 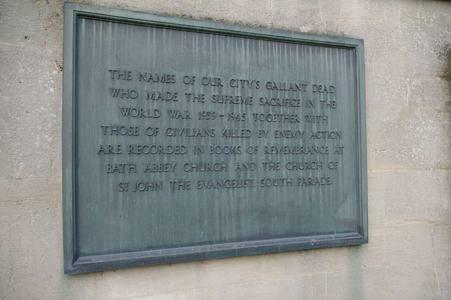 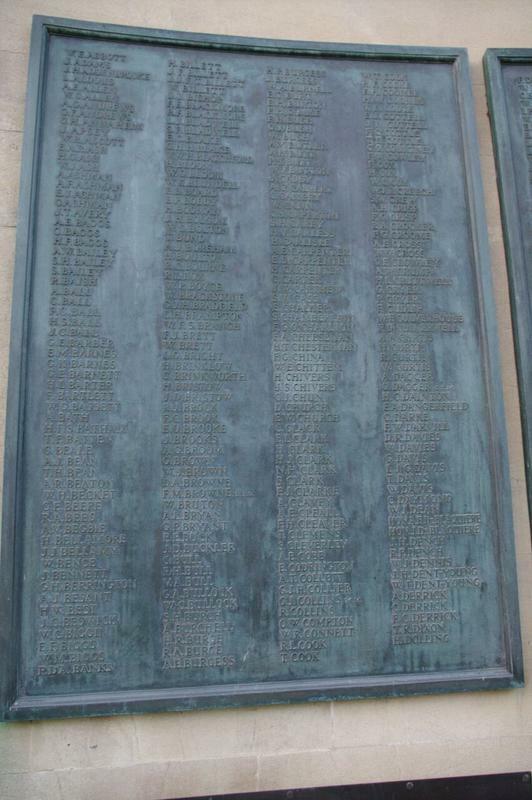 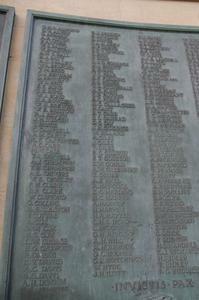 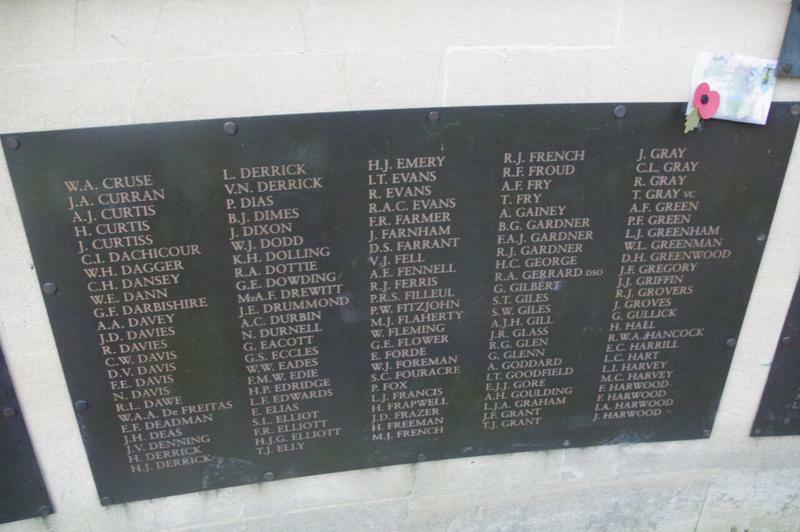 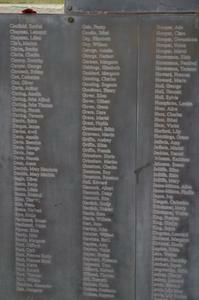 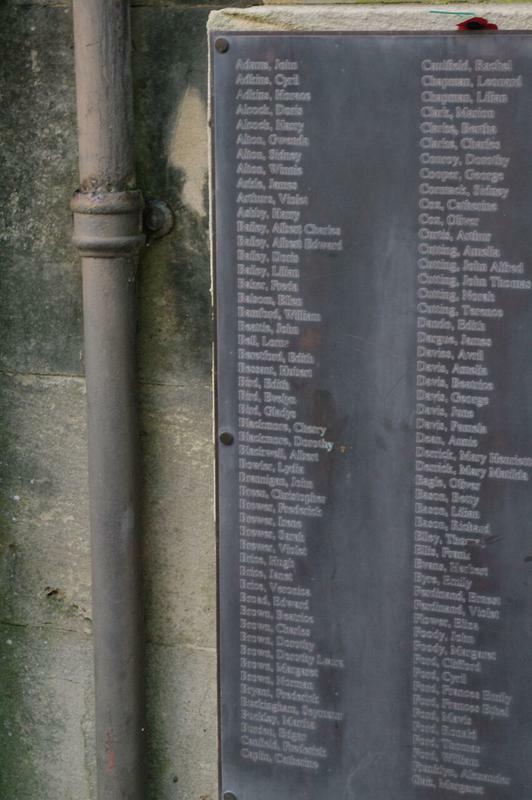 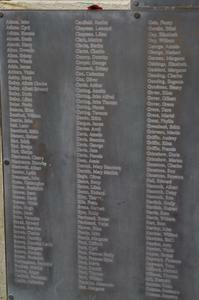 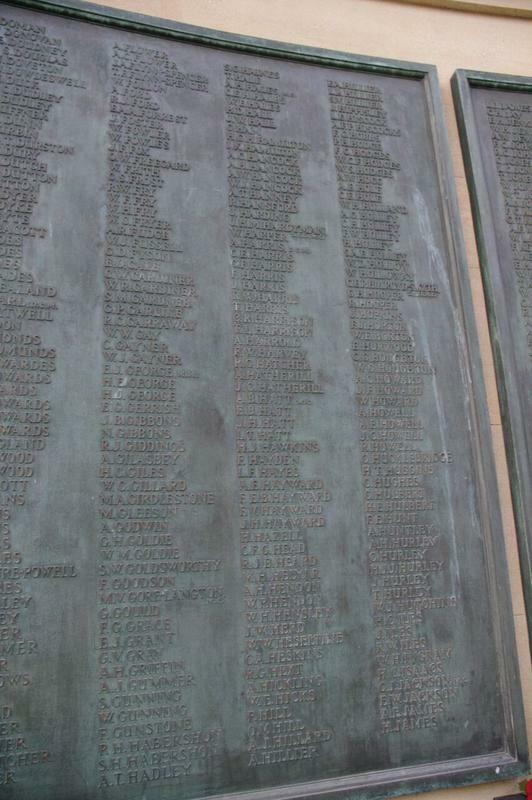 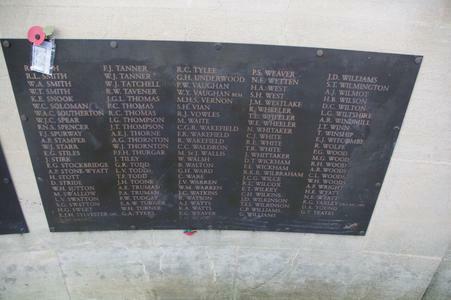 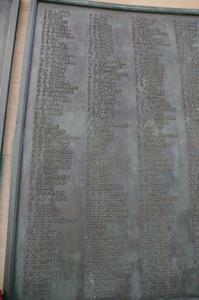 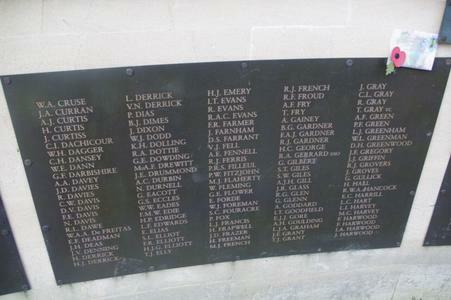 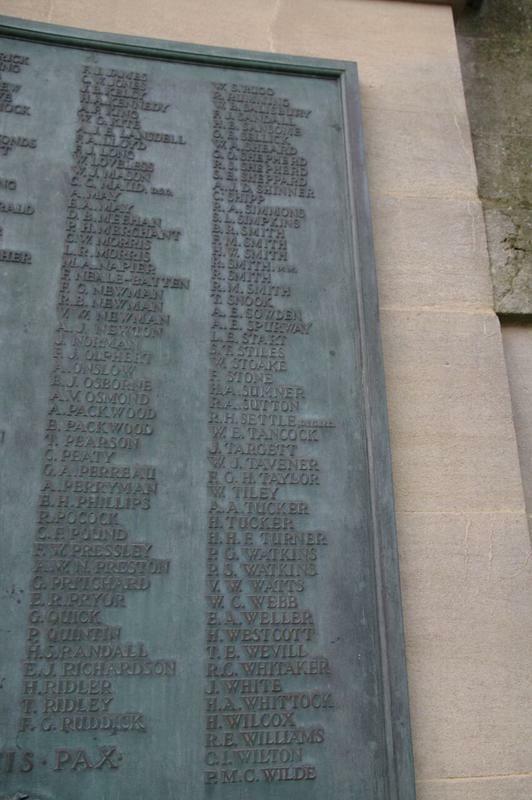 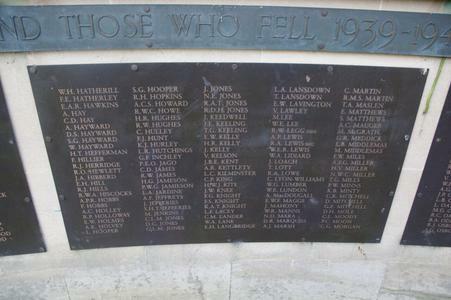 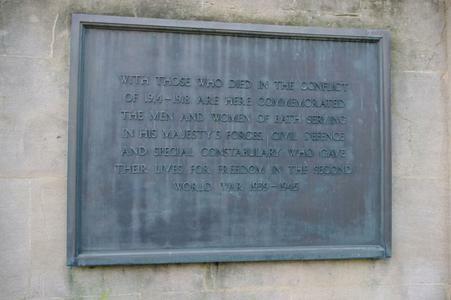 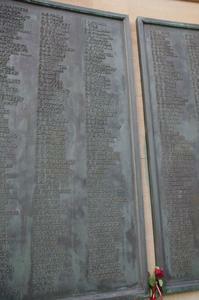 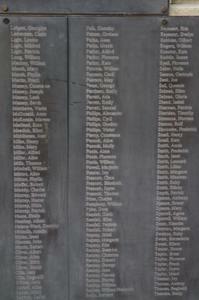 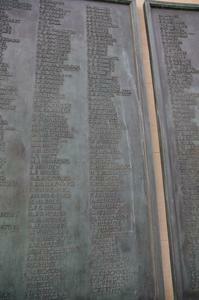 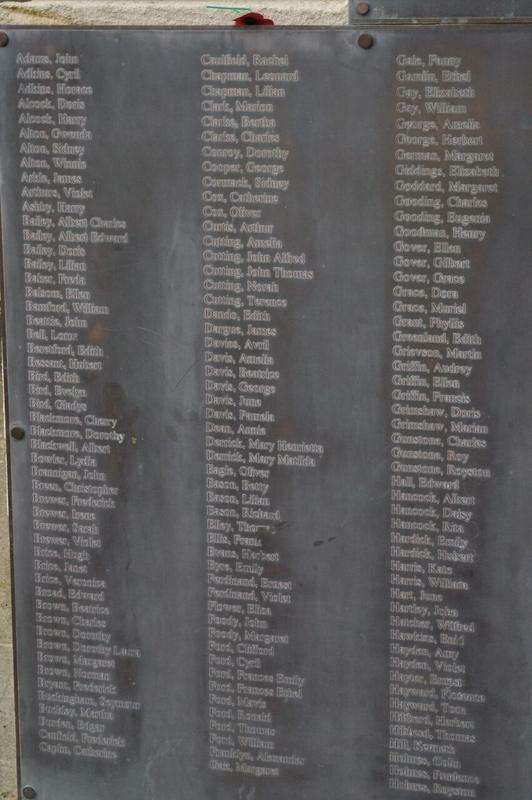 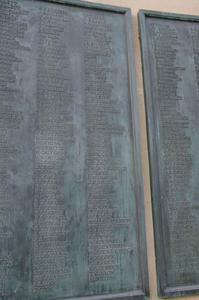 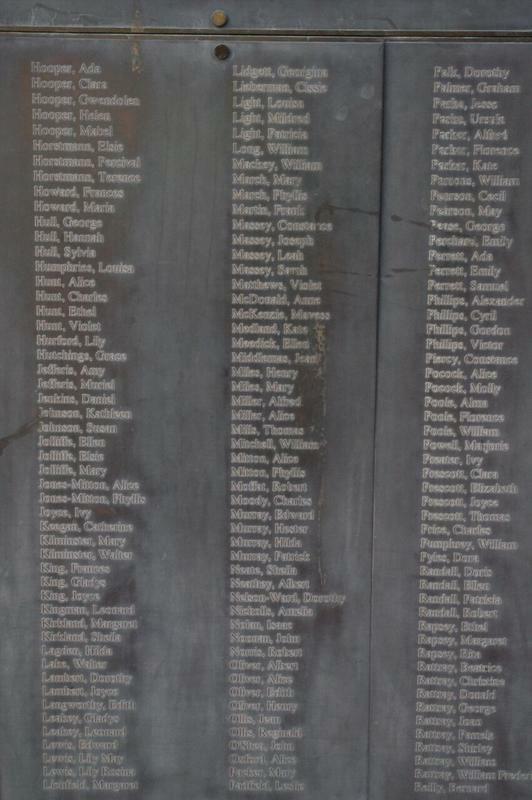 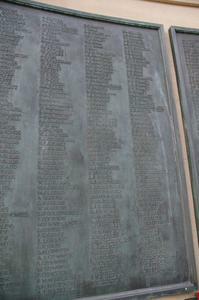 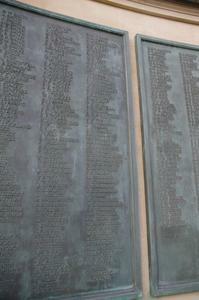 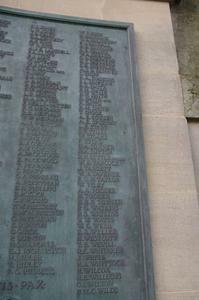 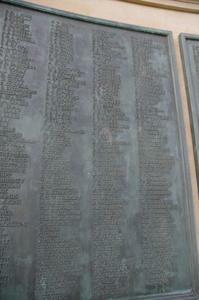 Post-WW2 names added to memorial on separate plaque. 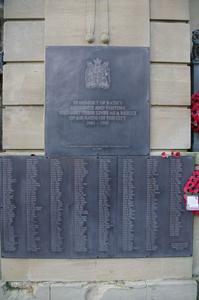 2010, September: Two lead planters were dedicated in memory of Harry Patch.